Romania has a developing, upper-middle income market economy, the 17th largest in the European Union by total nominal GDP and the 13th largest based on purchasing power parity. Romania has experienced growth in foreign investment with a cumulative FDI totaling more than $170 billion since 1989. Until 2009, Romanian economic growth was among the fastest in Europe (officially 8.4% in 2008 and more than three times the EU average). The country is a regional leader in multiple fields, such as IT and motor vehicle production and vehicles export. Bucharest, the capital city, is one of the largest financial and industrial centers in Eastern Europe. Romania has considerable natural resources for a country of its size, including coal, iron ore, copper, chromium, uranium, antimony, mercury, gold, barite, borate, and many other. Romania's mineral production is adequate to supply its manufacturing output. Energy needs are also met by importing bituminous and anthracite coal and crude petroleum. Romania's beef production is located in central region, production for export of fruits, vegetables, and wine ranges from central to southern Romania. 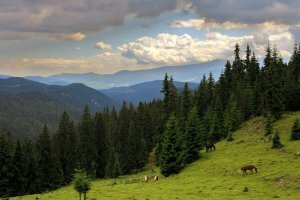 Romania is a large exporter of agricultural products and is currently expanding its forestry and fishery industries. Fishing is an economic mainstay in parts of the East of Romania and along the Black Sea coast, with important fish markets in places such as Constanta, Galati and Tulcea. Romanian exports include automobiles, machine tools, and chemicals. In 2004 Romania enjoyed one of the largest world market share in machine tools. Romanian-based companies such as Dacia, Petrom, Rompetrol, Bitdefender, Romstal and Mobexpert have expanded operations throughout the region. However, small- to medium-sized manufacturing firms form the bulk of Romania's industrial sector. Romania exports mostly machinery and transport equipment, raw materials, and miscellaneous manufactured articles like textiles and footwear. Romania's main exports partners are other European Union members with Germany, Italy, Turkey and France being the most important. 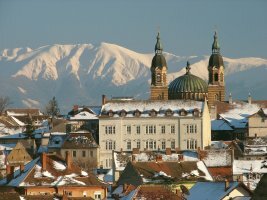 Romania is a country of considerable economic potential: over 10 million hectares of agricultural land, diverse energy sources (coal, oil, natural gas, hydro, nuclear and wind), a substantial, if aging, manufacturing base and opportunities for expanded development in tourism on the Black Sea and in the mountains. Romania entered the EU in 2007. This led to some immediate international trade liberalization, but there was no shock to the economy. The government is running annual surpluses of above 2%. Romania saw an immediate change in its international trade scenario when it liberalized its trading system at the time of joining the European Union. Italy and Germany are Romania's largest trading partners. 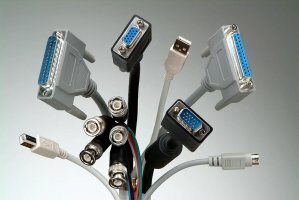 The main imports of Romania from Italy include computers, integrated circuits, aircraft parts and other defense equipment, wheat, and automobiles, along with remittances. Romania's chief exports to Italy include cut diamonds, jewelry, integrated circuits, printing machinery, and telecommunications equipment. Romania imports substantial quantities of grain, it is largely self-sufficient in other agricultural products and food stuffs, due to the fact that food must be regulated for sale in the Romania retail market, and hence imports almost no food products from other countries. Romania imported in 2006 food products of 2.4 billion euros, up almost 20% versus 2005, when the imports were worth slightly more than 2 billion euros. The EU is Romania's main partner in the trade with agri-food products. The exports to this destination represent 64%, and the imports from the EU countries represent 54%. Other important partners are the CEFTA countries, Turkey, Republic of Moldova and the USA. Romania is an oil producer, but the current level of production is not enough to make the country self-sufficient. Although at one time it was Europe's largest producer of oil, most of its reserves were used and squandered during the Nicolae Ceausescu period. As a result, it is today a net oil and gas importer. Romania's main import partners are other European Union members with Germany, Italy, Hungary and France being the most important. Others include Russia and Turkey. Romania is a country situated in Southeastern Europe, bordered by the Black Sea, Bulgaria, Ukraine, Hungary, Serbia and Moldova. Romania is a member of NATO and the European Unio, being the 7th most populous state of the EU. According to EU legislation, trade policies in Romania must adapt to several general principles such as release for free circulation, transit, customs, warehousing, inward processing, processing under customs control, temporary admission, outward processing and exportation. Concerning the Romanian import export duties and taxes, the EU imposes some values or quantitative quotas on imports from other countries. It is highly recommended to request an import license before importing such products. Import/export licenses are also mandatory for commodities considered as potentially hazardous to human health or to environment. When exporting to Romania, the legal basis that should be taken into consideration relates to the European Custom Code. In order to identify the customs value in EU, a transaction value must be indicated. It regards the international freight, insurances and some other charges. The majority of import declarations are acknowledged in connection with the transaction value method. All evaluations, administrative or judicial, concerning the customs valuation decisions may be appealed at the National Customs Authority in Romania. The EU Custom Code dictates non-preferential and preferential measures. The non-preferential ones are imposed for various reasons dealing with quantitative restrictions, Most-Favored-Nation tariff quotas, origin marking, contingency measures and government procurement. All preferential measures are applied in accordance with preferential arrangements. When dealing with import export duty and taxes regime, the custom tariffs are generally adapted to EU stipulations. In this manner, Romania guarantees the most-favoured-nation (MFN) treatment or improved treatments to WTO or other non-members of WTO. An import declaration is required for goods from third countries such as the US. When goods are imported into Romania, it is the responsibility of the importer or his authorized agent to declare them to Customs. A Single Administrative Document or SAD is used for this purpose. This is the approved form for the import declaration process. The Single Administrative Document (SAD) may be submitted to Customs, either through physical means or through an electronic declaration. Goods are released from Customs for “free circulation” once the pertinent documents have been filed and payment of tariff duties has been completed. After paying the value added tax (VAT) and any other applicable excise duty, goods are also released for consumption and ready to be marketed. Romania is a member of the European Union and shares the Common External Tariff regime. EU duties are charged by Customs on the CIF (cost, insurance and freight) value of the product imported into Romania. Lot identification with the marking preceded by the letter "L"